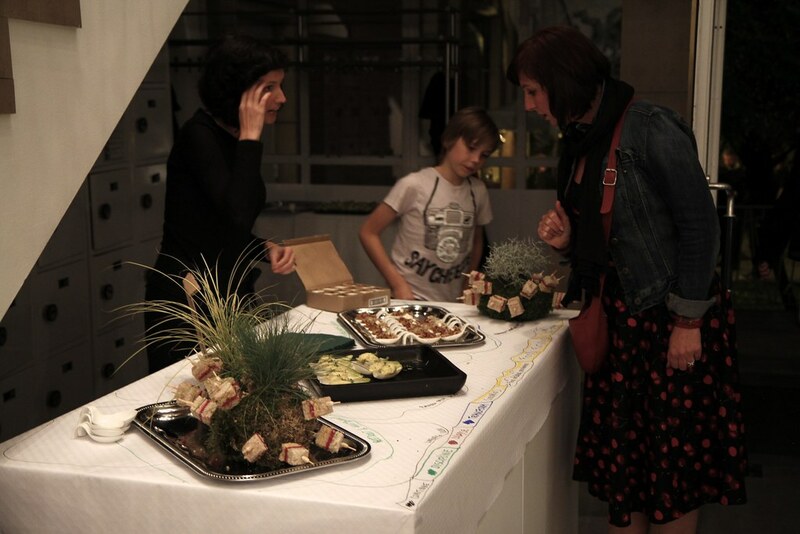 Prepared for the opening of Z33's Future Fictions exhibition in Hasselt, Belgium on 4 October 2014, the recipes below are based on four archetypal food scenarios we originally designed in spring 2014 for the Food Futures dinner at the Edinburgh Science Festival, co-hosted with Amanda McDonald Crowley. Here we adapted the menu – originally devised as a tasting dinner – into finger foods as a suitable format for a reception, and also adapted the dishes to reflect a different region and season. Context: “continue business as usual” – exotic foods, delicate or exaggerated presentation, lively colours, re-localised tastes, importance of branding, enhanced foods… Read more about the Continue Scenario. Inspired by the flavour pairing principle, where ingredients are combined based on their common volatile molecules, we combined banana and parsley in a sweet, sour and savoury dip. The dip is served with an assortment of vegetable crisps chosen for their tastes, shapes and colours. Epitomising the kind of food eaten in the Continue scenario, this dish alludes to inhabitants' incessant yearning for novelty and intensification of taste. The dip is sprinkled with edible gold powder, adding to its subdued extravagance. Banana and parsley raita: Put all ingredients into a strong blender and blend until smooth. Transfer to glass jars and reserve in the fridge for at least two hours. Vegetable crisps: Due to time constraints we opted for buying vegetable crisps from an organic store. However, they can be made at home using a mandoline and a dehydrator. Crunchy herbs: Select big healthy leaves from a few of your favourite herbs, clean and dry them. Place the oil into a small fry pan or deep-fryer and heat to ~150 C. Use a slotted spoon to lower the leaves into the oil and fry them for 5–10 seconds (check that their colour is even). Drain on a plate covered with a paper towel. Pack in an airtight container and keep in a dry place until serving. 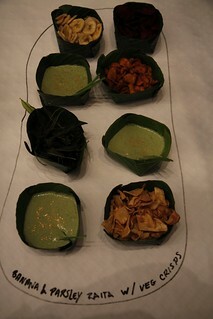 Pour the dip into a few banana leaf cups, sprinkle with gold powder and decorate with parsley stalks. Divide vegetable crisps among the remaining cups (one type per cup) and serve ASAP, to avoid the crisps getting soggy. Bananas, crisps and Orac mix sourced from Tanclub organic shop, parsley, ginger, mustard seeds from a Pakistani shop in Molenbeek, Brussels. Yoghurt and oil from Delhaize. Banana leaf cups from Kam Yuen. Herbs from Rasa Alksnyte's garden. Gold powder from Mmmmh. In the Continue scenario there is much ruthless borrowing and re-localising of world cuisines. 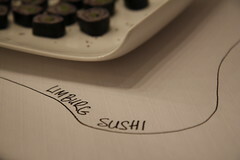 Sushi is one such dish which has been assimilated around the globe using ingredients suited to the local palate. 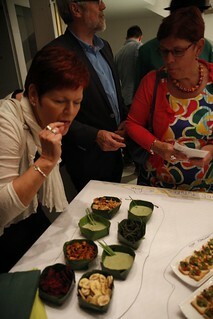 For Limburg, where the Future Fictions exhibition was held, we chose potatoes and asparagus. Asparagus is a vegetable endemic to the region, but it is out of season in October so the asparagus we used was actually imported from Peru, which perfectly suited the scenario. Potato puree: Boil potatoes in the skin. Test their softness with a fork. The fork should pierce the potatoes easily, but they shouldn't fall apart. Remove from heat, drain the water and let cool just enough so you don't burn your fingers when you hold the potato for a few seconds. Peel off the skin using your fingers. Mash potatoes with salt, butter and/or olive oil until the mash becomes relatively smooth. It's not a problem to have some small chunks that aren't completely mashed. Let the mash cool completely. Asparagus: Peel asparagus (if needed) and blanch for a few minutes until the stalks soften but are still bright green and firm. Take out of the pan using a slotted spoon an place asparagus in ice water for a few minutes to halt the cooking process (this will preserve the bright green colour). In the mean time make the marinade: juice half a lemon, add soy sauce and olive oil, stir to combine. We used a smoked olive oil that we smoked a few weeks earlier using the Smoking Gun, but this is not absolutely necessary. A good quality extra virgin olive oil can be used as well. Brush the asparagus with the marinade and reserve in the fridge until needed. 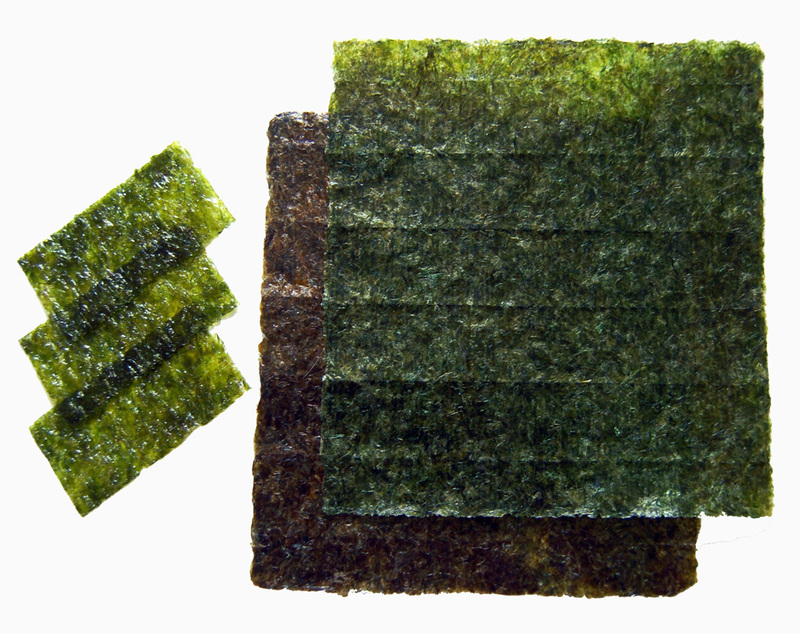 Sushi: Spread a thin layer of potato puree on a nori sheet. 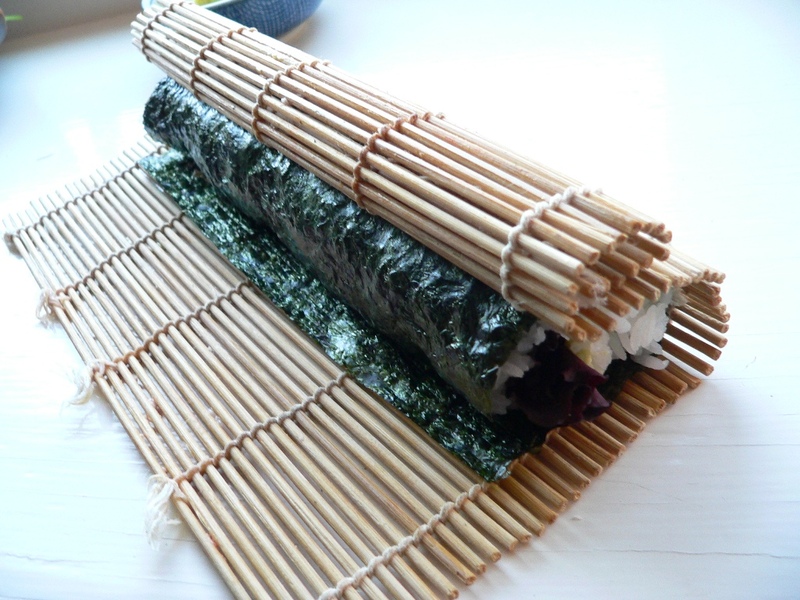 Place a few asparagus spears in the middle and roll sushi using a bamboo mat. Cut sushi in medium thin slices using a sharp knife. Sprinkle with dulse flakes. The ingredients came from the Tanclub organic shop, Des Tanneurs biomarket and Delhaize. Thanks to industrialised agriculture, corn is currently one of the most dominant plant species in the world. It was therefore an imperative to include it on a menu from the Continue Scenario. We paired it with chilli sauce, as is often done in the globalised “Tex-Mex” cuisine. Adding the suspiciously manufactured texture of jello and the “mini melba toast”, this dish plays on the clichés of agribusiness, food industry and domestic bliss. Heat up a small amount of oil in the pan. Briefly sauté garlic and ginger, then add corn kernels, green peas, pepper and okra. Stir-fry for a few minutes. Afterwards add a spoonful of Tamari sauce. In another saucepan melt agar-agar powder in some water (check the proportions on the packaging). Add the agar-agar mix to the vegetables, bring to the boil and remove from the heat. Pour the mixture into a deep square form to set. When the jello hardens cut into small squares. 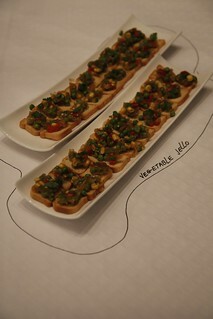 Place the squares on the toast and finish with a drop of chilli sauce. Decorate with fresh coriander. 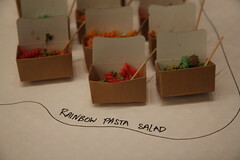 (Artificial) food flavouring and colouring, so archetypal for the Continue Scenario, is best illustrated in “rainbow” pasta: brightly coloured and strongly flavoured pasta that would brighten every Continue-kid's birthday party. We combined it with fruits and vegetables, making the salads comfortingly sweet and sour to soften the initial shock of eating neon-coloured foods. Cook pasta in 3 pots – follow the instructions on the packet. Add different food colouring to each batch. Set aside. Heat up the oil in the pan. Sauté ginger, garlic, onion and lemongrass until brown. Add okra, carrots, orange juice and tamari sauce. After a few minutes add coconut milk. Season with salt and pepper to taste. Divide the sauce in 3 batches. 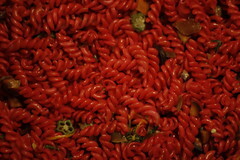 Add to the coloured pasta. Stir well. Serve in small paper boxes. Decorate with fresh coriander and thin strips of orange peel. Food colouring came from the Kam Yuen supermarket in Brussels. The other ingredients came from the organic supermarket Bio Planet. Similar to the rainbow pasta, this tea has a shockingly bright colour. 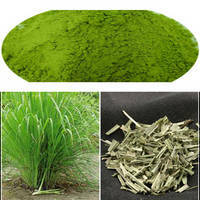 Its name is deceptive: it is not actually green tea, but green-coloured lemongrass powder tea. We bought the tea at a market in Siem Reap, Cambodia, where the seller assured us that the powder was genuine without any additives. But without a transparent supply chain, we will never know. 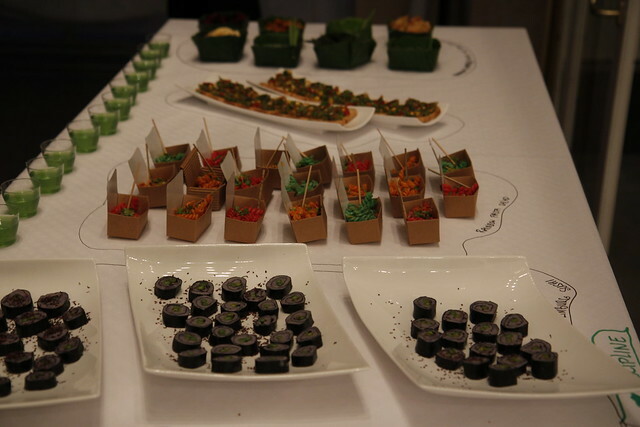 The dish illustrates the proliferation of greenwashing in globalised food markets. Pour boiling water over the lemongrass powder. Let it steep for about ten minutes. Filter the tea trough a coffee filter. Add stevia and lime juice to taste. Lemon grass powder from the central market at Siem Reap, Cambodia. Stevia and lime juice came from the Bioplanet supermarket. Context: Wholesome foods focused on nutritional value, food as medicine, certification bureaucracy, short supply chains, C2C, wild foods… Read more about the Discipline scenario. This dish is designed to get all the food groups in one bite. Vitamins, proteins, greens, carbohydrates all combined in cheesy, gooey goodness enveloped in crispy raw leaves and sprouts. Wholesome, green and richly flavoured to convince even the biggest skeptics that healthy food (contrary to popular belief) can taste delicious. Place potato cubes in the pot and just cover with water. Let it simmer on low heat until water evaporates and potatoes are soft. Remove from the heat. Add finely chopped parsley leaves, cover with a lid and set aside to cool down for a few minutes. Add butter, cheese, milk and nutmeg. Make a smooth puree using a potato masher. Season with salt and pepper. Serve a spoon of potato mash per chicory leaf, decorated with green herbs and sprouts. Most ingredients came from the organic supermarket Bio Planet, except wild herbs that were picked in the Flemish Ardennes. The inhabitants of the Discipline Scenario eat strictly according to seasonal cycles and flavour their food with (home) dried and smoked herbs and spices. Pumpkin is for many of us a symbol of autumn: warm, smooth and sweet, like the early evenings at home in front of the fire (or even better, immersed in the heat produced by some form of renewable energy), listening to the rain and wind ranging outside while we're comfortably protected by our well-insulated windows. Even if the colour of pumpkin suggests warmth, according to the tradition of Ayurveda pumpkin is considered a cooling food. We therefore added some spicy smoked paprika powder to increase the soup's heating capacity. 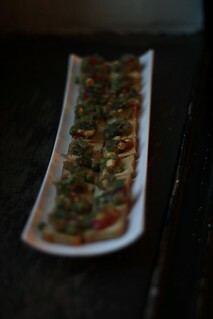 Serve in small cups with a dollop of sour cream, a dash of olive oil, a sprinkle of smoked paprika and a twig of thyme. Pumpkin and sweet potato came from the Molenbeek market in Brussels, Belgium. Sweet paprika from the market in Pula, Croatia. Smoked paprika from the Mercado de La Boqueria in Barcelona, Spain. Oregano (majčina dušica) picked in Pula, Croatia. Thyme from Maja Kuzmanovic's balcony. Sour cream from Delhaize. Coconut oil from Natural Corner. 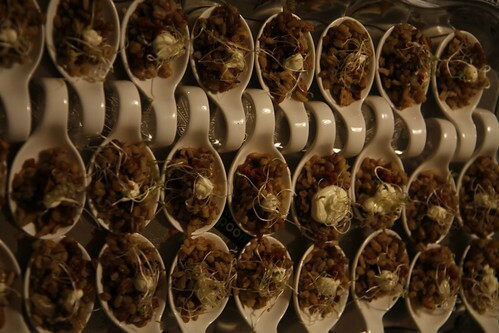 In many regions of Europe grains are traditionally served on weddings as a fertility blessing. In the Discipline scenario, customs and rituals celebrating human relationship with the Earth are rediscovered and celebrated. Forgotten ingredients including ancient grains and seeds such as spelt, barley, buckwheat, linseed and hemp are served in family meals again. Another forgotten tradition that has been resurrected in this scenario is foraging, in an appropriately disciplined and responsible manner. In this dish we combine the grains and forest mushrooms, spiced up with a hearty harissa. Cook grains according the instructions on the package. Melt the butter in a pan on low heat. Sauté garlic and onion until soft and golden. Add apricots, mushrooms and cooked grain. Season with salt and pepper. Serve in porcelain spoons, topped up with a drop of sour cream and harrissa. Decorate with a few threads of alfalfa sprouts. Most ingredients came from the organic supermarket Bio Planet. Harissa and mushrooms came from Champigros. Bake beetroot, celeriac, apples and garlic cloves in the salt crust one day before. Preheat the oven to 220°C. Knead the salt, flour and water into a firm dough and roll it out. Pack the celeriac (unpeeled), beetroot, apples and garlic in the dough. Bake in the oven for 20 minutes, then reduce the temperature to 160°C and cook for another 35–45 minutes, depending on the size. Leave to cool down, then store in the fridge overnight. The next day break the salt crust and peel the celeriac, beetroot, garlic and apples. Make two different pastes combining the ingredients (see above) in the electric mixer and mix until they become smooth and spreadable. Blend all ingredients except butter in the mixer until it becomes a smooth paste. Add some water if the paste is too thick. Place the paste in a buttered ovenproof dish. Pour remaining butter on top. Bake the mixture for about 20–30 minutes in the oven at 180°C. Let it cool and reserve in the fridge. Assemble multilayered sandwiches. Smear one layer with hummus, the second layer with beetroot paste, the third with celeriac paste. Cut off the crust. Place in the refrigerator for at least 1 hour. Cut the cooled sandwiches into small bite-sized squares. 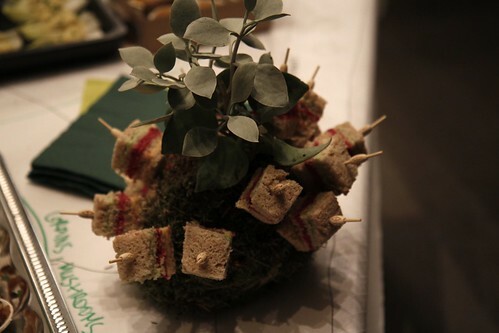 Serve on skewers and “plant” them in a small potplant or kokedama. All ingredients came from the organic supermarket Bio Planet. Context: waste as food, fermentation, hunting and gathering, antibiotic resistance, starvation/decadence, mock-meat, insects, nose-to-tail diets… Read more about the Collapse scenario. Waste is food in the Collapse Scenario. While once we might have peeled our potatoes to make chips, we now only have the peel to peruse, even in the most decadent places like the “Last Supper Club”. 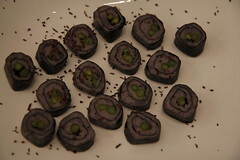 The opulence of the dish is hinted at with the addition of the rare black truffle oil and a sprinkling of seaweed. Peel potatoes into long strips with a potato peeler, then let them lie on a paper towel for a few minutes to absorb moisture. Heat frying oil in a deep fryer or frying pan. Fry the peels a few at a time till crisp and golden brown. Place them back onto the paper towel and sprinkle with salt, truffle oil and seaweed. If you don't want to serve them right away, wait till the peel cools and set aside in an airtight container until needed, but no longer than a few days. 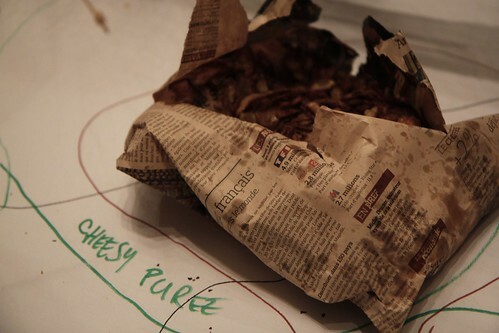 Wrap the chips in newspapers and tie with butcher's twine. Most ingredients came from the organic supermarket Bio Planet. Truffle oil from Zigante. One of the main reasons for the collapse of the food industry in this scenario is antibiotic resistance. In the Collapse scenario, Big Pharma can no longer provide us with the weapons to fight bacteria. Instead the old tradition of (wild) fermentation is thriving again, led by bio-hackers and militant fermenters. As farming above ground isn't an option any longer, people are cultivating mushrooms in squatted bunkers and pickling them in post-apocalyptic fermentation vats. People in the world of collapse use fermentation to encourage “good” bacteria to grow while keeping the “bad” ones at bay, thereby minimising bacterial infections. 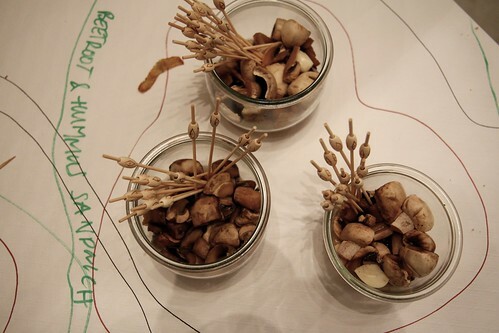 We served simple button mushrooms (“champignons” in Belgium) that are easy to cultivate, and fermented them for a few days. Brush the mushrooms to remove sand or earth residue. Dissolve salt in the water. Place all the ingredients in the clean jar. Make sure the mushrooms are covered by the salty liquid. Close the jar and leave it to ferment out of sunlight for three days. After the fermentation period place the mushrooms in the refrigerator. Consume within a day or two. Note: in summer the fermentation process goes faster due to the higher temperature, which means that the mushrooms might be ready sooner. Strain mushrooms and serve them in a soup bowl or a small jar. Reserve the juice (for the following dish). Most ingredients came from the organic supermarket Bio Planet, except for the mushrooms which were sourced in the Delhaize supermarket. There is no waste in the Collapse kitchen. The fermentation liquid used for the mushrooms in the dish above is spiced, smoked and recycled into a sour tonic. Place all solid ingredients into an oiled pan. Sauté for a few minutes. Add the mushroom juice. Add some water to cover all the vegetables. Cover with a lid on and let simmer for about 30 min. Strain and filter through a coffee filter. If the taste is too strong, add water and a spoonful of honey. Warm slightly before serving. Pour into a glass jar or teapot. Smoke the whole quantity of liquid with hickory wood for a few minutes using the Smoking Gun. 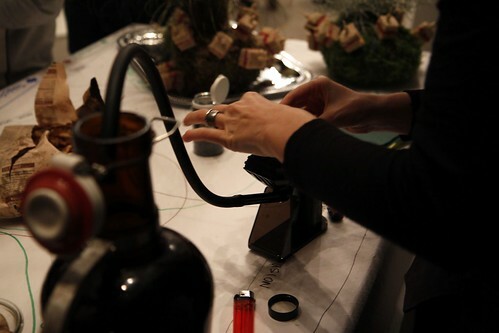 Swirl or shake for a few seconds and serve immediately, with a few wisps of smoke still in the air. In a world of food systems collapse, dietary supplements are a big industry. As an example of an already booming trade in both natural and artificial spirulina, we served this popular cyanobacteria in a medicine jar. Place the pills in an authentic-looking medicine jar. Serve with the smoked fungus juice. 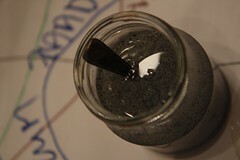 Spirulina came from the Natural Corner organic shop. Medicine bottle recycled from smoked chocolate pills of The Chocolate Line. 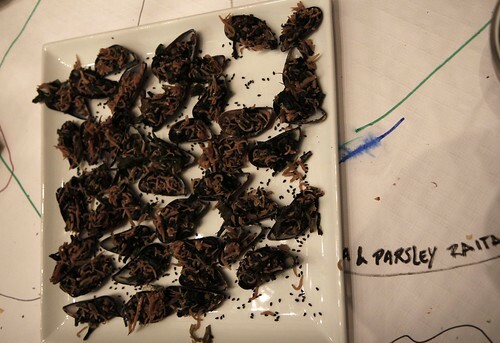 Our plan for this dish was to serve insects or worms. However due to a large insectivore fair in Belgium on the same day, we were unable to procure the “real thing”. Instead we served tiny anchovies that looked like maggots, had a texture of a cricket, but tasted fishy. We decided it was an interesting substitute to be served with in a mussel shell. It ended up being deception upon deception, which perfectly suited some of the more obscure dimensions of the Collapse scenario. Soak anchovies in water for an hour to drain the salt. Soak the seaweed salad in water for 10 minutes. Sauté anchovies in an oiled pan for a few minutes. Add strained seaweed. Add a few drops of fish sauce. Serve in mussel shells and sprinkle with black sesame seeds. All the ingredients came from the Kam Yuen supermarket. 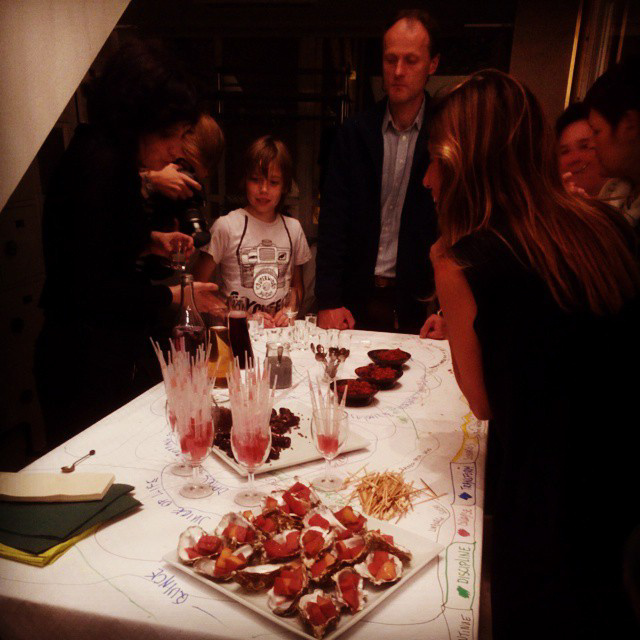 Context: innovation, playfulness, DIY, flavour pairing, food science, food forests, micro-supply chains, ultra-boutique products… Read more about the Transform scenario. Delivered from the Transform scenario's urban food forest, this is an intense fruity elixir to heighten the spirit and the immune system simultaneously. 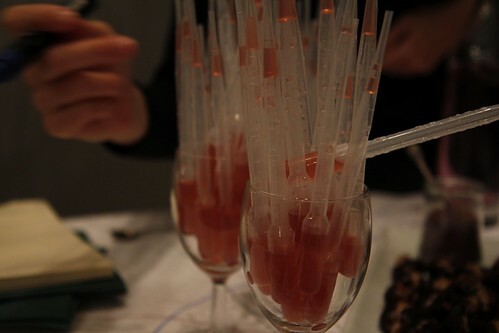 A concoction of apples, berries and flowers, served in a laboratory pipette to be playfully squirted directly into guests' mouthes. Boil apples, berries, lime juice, rose petals and chilli in water on low heat for 30 minutes. Strain through a sieve. Heat the juice again and add sugar. Let it simmer for another 30 minutes until reduced by half and slightly thickened. When it cools down add a splash of Jenever. Apples are very cheap this year in Belgium! We got them from an old lady in Galmaarden. She is too old to treat her trees with chemicals, and we were delighted to discover and eat her (non-certified) organic apples. 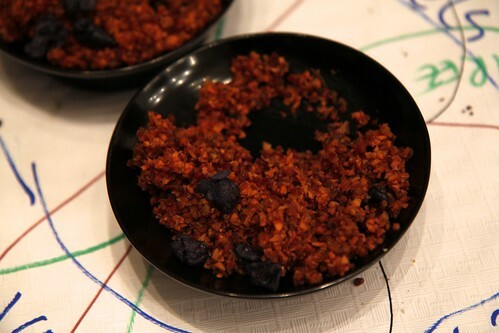 The berries and rose petals were from Rasa Alksnyte's garden, picked in summer and stored in a dehydrator and freezer. The name of this dish points to the irreverence and playfulness of this scenario. There is nothing even remotely related to oysters here, except the shells that we used instead of plates. The food itself could have come from one of the “bucolicities” or urban food forests that are abundant in the Transform world. We chose the seasonal quince and lovingly infused it with sweet port, leaves and spices, caramelised to a deep pink perfection. Cut the quince in small, bite-sized pieces. Peel the orange and juice it. Bring the port to the boil, add orange juice and peel, leaves and spices. Once on the boil add quince. Cover with a lid and boil until the quince is soft but firm. Use a slotted ladle to take the quince out of the liquid and set aside. Keep boiling the liquid on high flame until reduced to a thick syrup. Take off the fire, discard the leaves and cloves. If you want a completely smooth liquid, pass it through the sieve. Pour the syrup over the quince, cool and reserve in the fridge overnight. 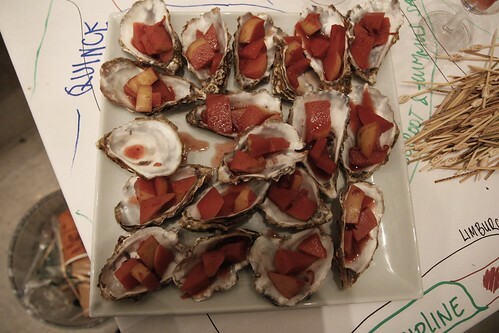 Spoon several pieces of quince and syrup into oyster shells and serve with bamboo skewers. Quinces came from the Molenbeek market in Brussels, Belgium. Port from Delhaize supermarket. Orange from the Tanclub organic shop. Cinnamon leaf and allspice were a gift from a Veronique Linard and Hans de Man living in Jamaica. Cloves came from an organic farm in Tanzania. Kaffir lime and lemon myrtle from the Adelaide Market in Australia. All ingredients were ferally traded in our luggage on our way back from various work and family related travels. The Transform scenario features closed-loop industrial production, and there is virtually no pollution. 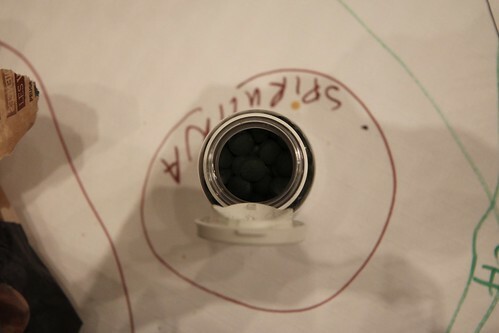 CO2 is captured and transformed into other useful products, such as for example popping sugar. In this dish the sugar comes in a lavish chocolate coating, as a sprinkle on the sweet Mazafati dates stuffed with rough sesame tahini. A dish that metamorphoses within your mouth and a symbol of the ultra-boutiqueness of some of the Transform's gastronomy. Pit the dates beforehand and keep cool and dry. Just before serving fill each date with a small amount of tahini (using a big syringe or a small teaspoon). Spread on a large lightly coloured serving plate and prinkle the stuffed dates with popping sugar. Dates came from a Pakistani shop in Molenbeek, Belgium. Tahini was bought in the Natural Corner organic shop and popping sugar from Mmmmh, both in Brussels, Belgium. Grate the carrots by hand or using an electric mixer. Immediately add lemon juice and thoroughly stir the mixture so the carrots don’t loose their bright colour. Chop candied violets in tiny pieces and mix with the carrots. Add a teaspoon of honey, mix well and taste. If you prefer a sweeter taste, keep adding honey until you obtain the taste you like. Press the mixture down with a ladle to remove excess air, place in an airtight container and leave in the fridge for a few hours. 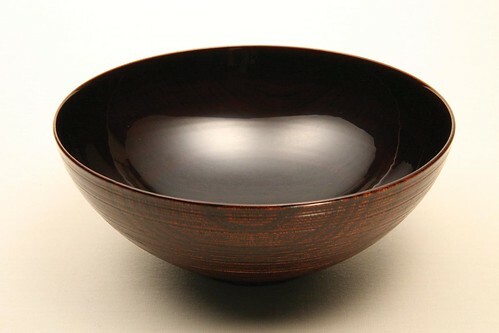 Pour a few spoonfuls of the mixture into small bowls (we used black Japanese lacquered wooden bowls). Decorate with a few whole candied violets. Serve with a motley assortment of small silver teaspoons. Carrots and lemon came from Les Tanneurs organic market, violets from AM Sweet, urban honey from FoAM member and beekeeper Christina Stadlbauer. The bowls were found in a Japanese restaurant (now closed down) in Amsterdam, and the teaspoons from the flea market in Brussels. 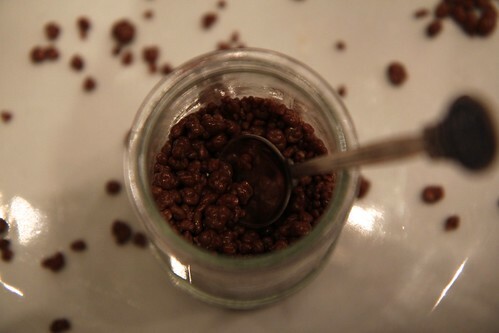 Pour the basil seeds into a jar and fill with ample water (the water level should be at least 5 cm above the seeds). The seeds will expand over about 10 minutes. Make sure that they don’t form a gel, otherwise they’ll stick to each other – add some more water in this case. The swollen seeds should still be “swimming” in a some liquid when they stop expanding. Place the closed jar in the fridge for a few hours. Steep the flowers separately in boiling water. 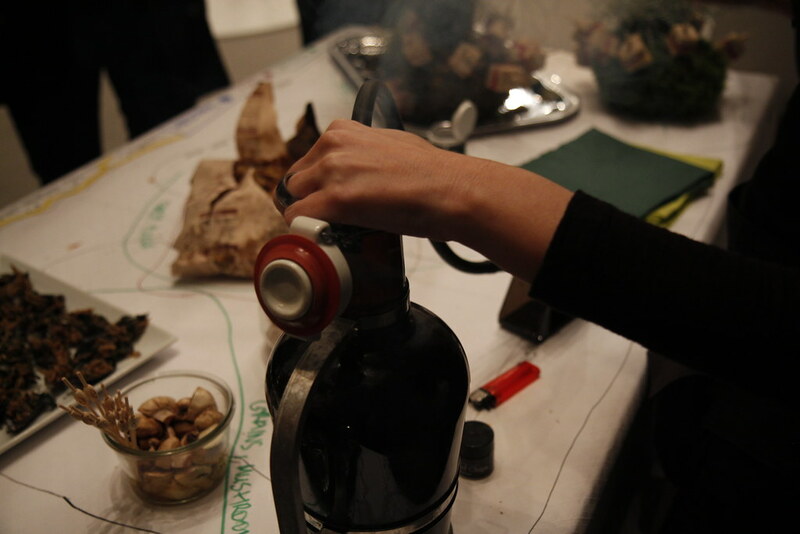 For the quantities above we used between 500 ml and 1 l of water – it depends how strong you prefer your tea. Add a sweetener to taste while the water is still warm. Cool down, then chill in the fridge overnight. A note about the mallow tea: the flowers will colour the tea a beautiful blue when you just put them in, then turn purple and eventually yellow. If you want to serve a strikingly coloured drink, add a teaspoon of the flowers to the tea just before serving. 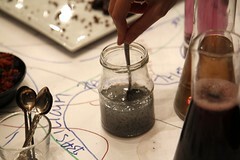 In small glasses pour first a teaspoon of basil seeds, then fill the glass with one of the flower teas. Sweet basil seeds came from the Central Market in Siem Reap, Cambodia. Hibiscus flowers were a gift from Veronique Linard which she picked up while working with craft jewellers in Burkina Faso. Dried lavender came from a lavender farm in Istria, Croatia; roses and mallow came from Mmmmh in Brussels.